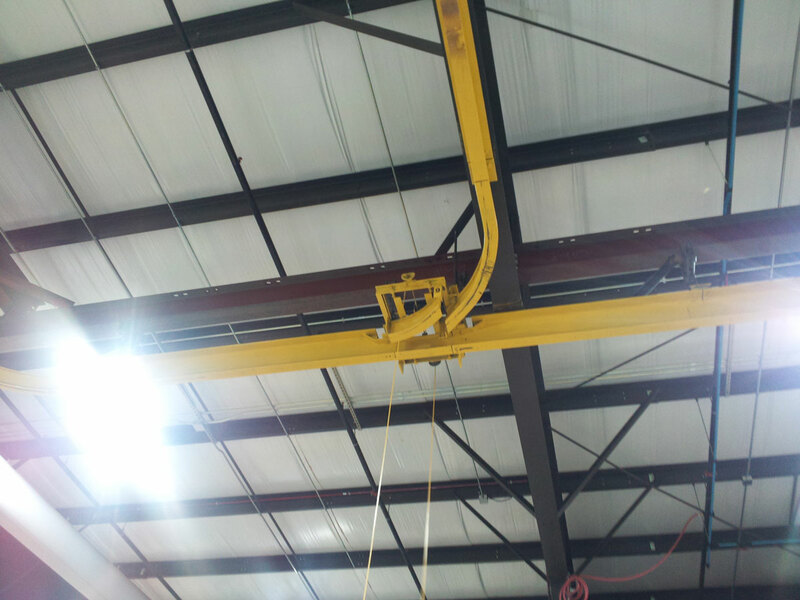 Your Overhead Material Handling Experts! 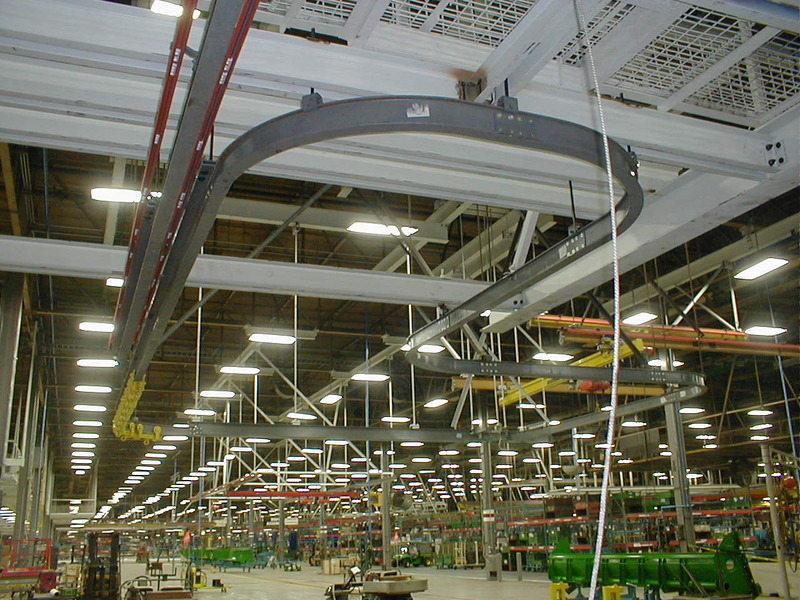 Monorail systems move materials and parts in a fixed path using a single rail. 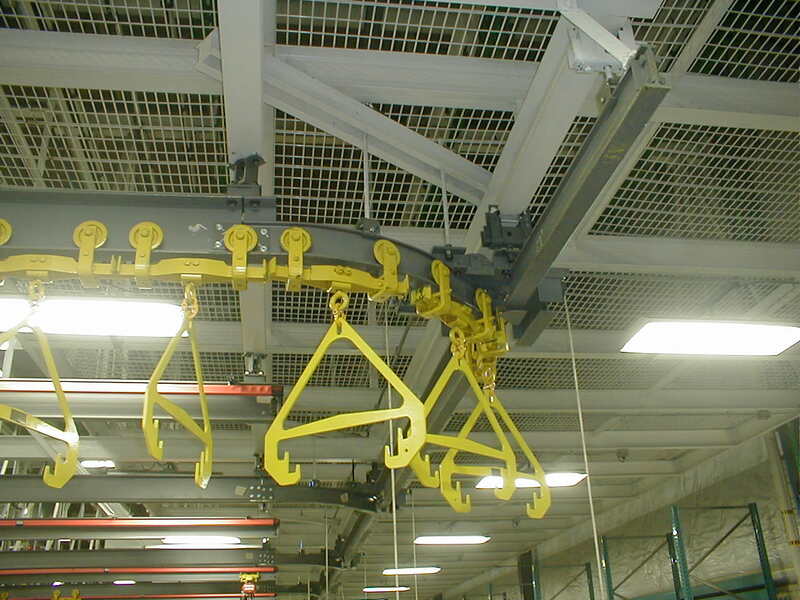 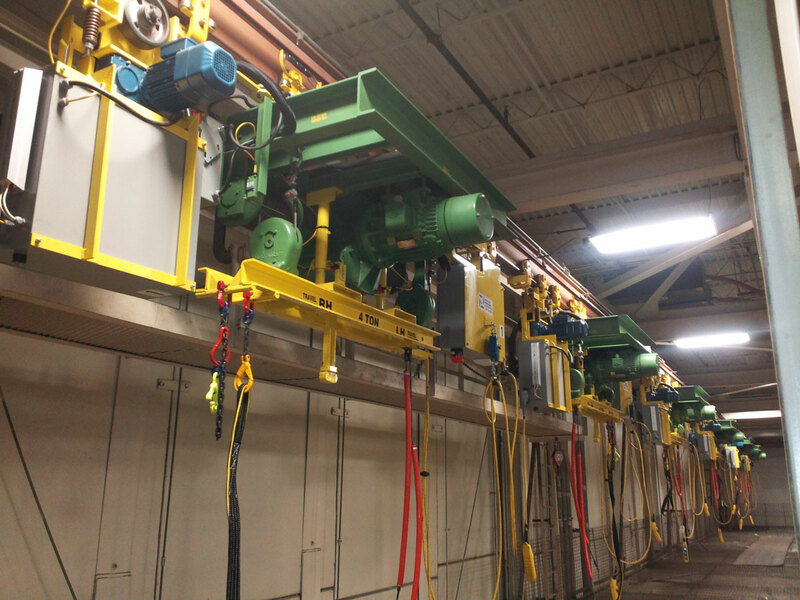 Typically, overhead monorail systems are used to move parts station-to-station in an assembly facility, store/queue parts overhead to save floor space, or staging parts in a paint booth or similar. 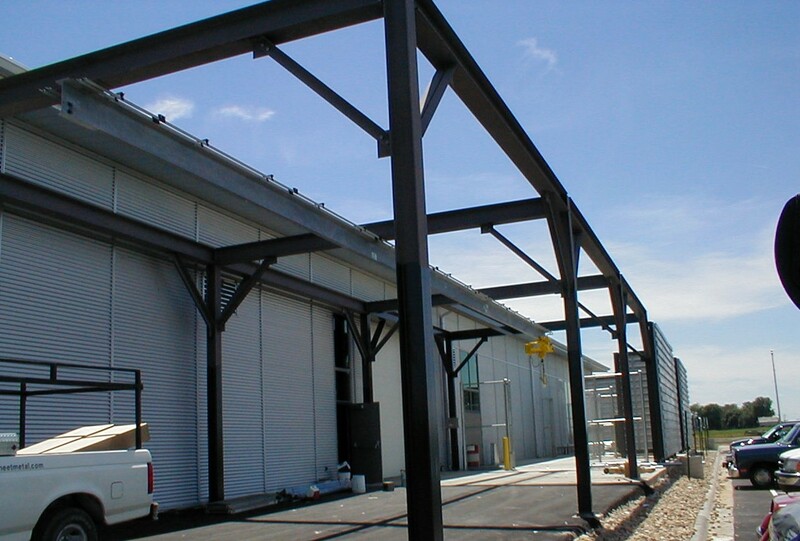 When using a simple or straight monorail path, the system can easily be mounted using a freestanding frame system. 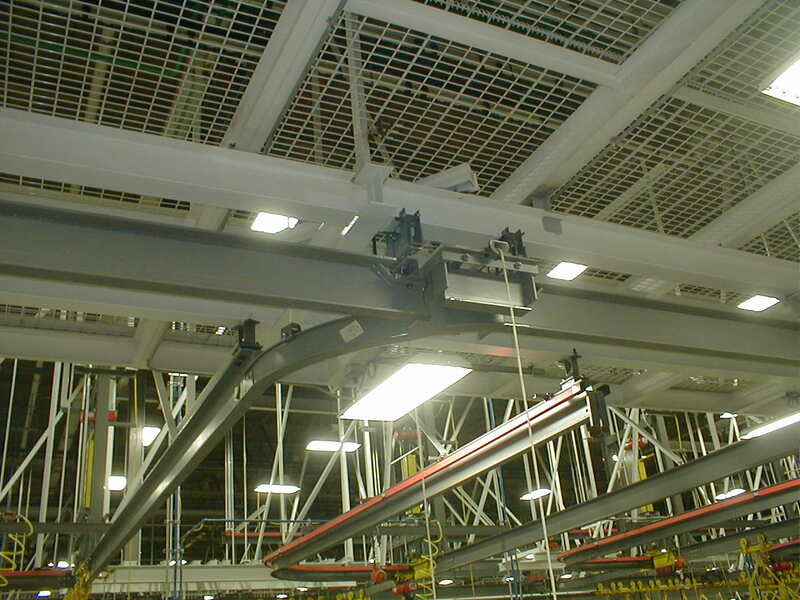 For complex systems that require switches, latches, and other track devises, enclosed or patented track is used and is best if ceiling mounted from the building structure. 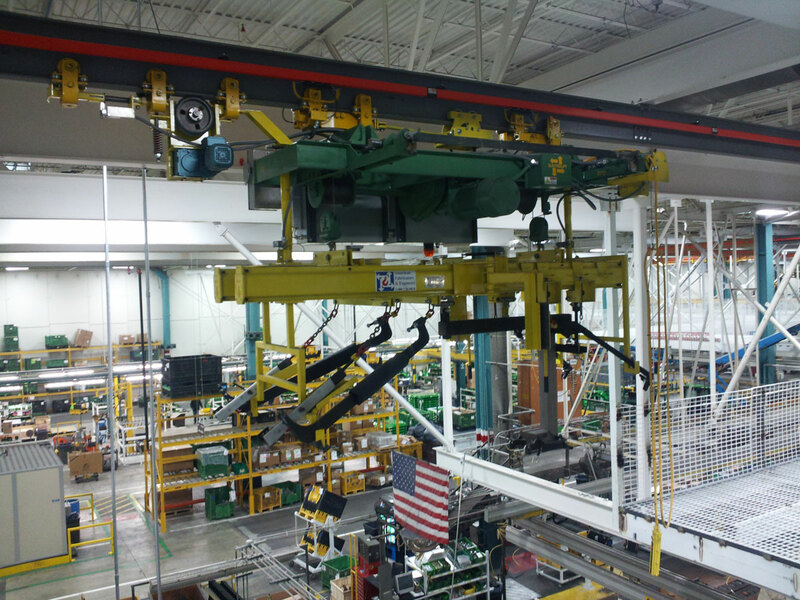 Motorized carriers are used for high capacities and automated motion on overhead monorail systems. 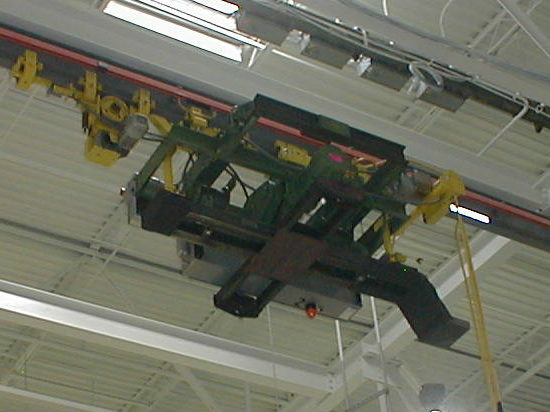 Typically, motorized carriers are designed to transport large items from sub-assembly lines to the main assembly line. 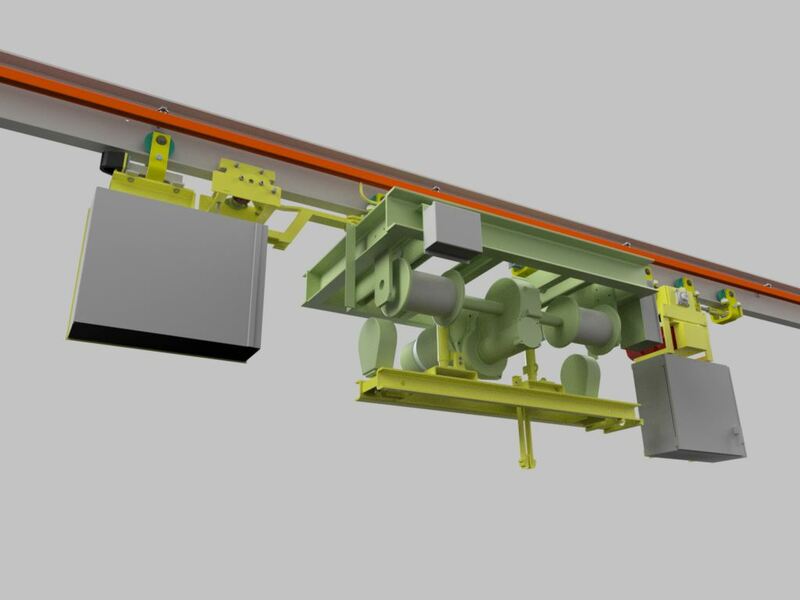 Carriers often utilize long, complex monorail paths that include a multitude of switches and latches. 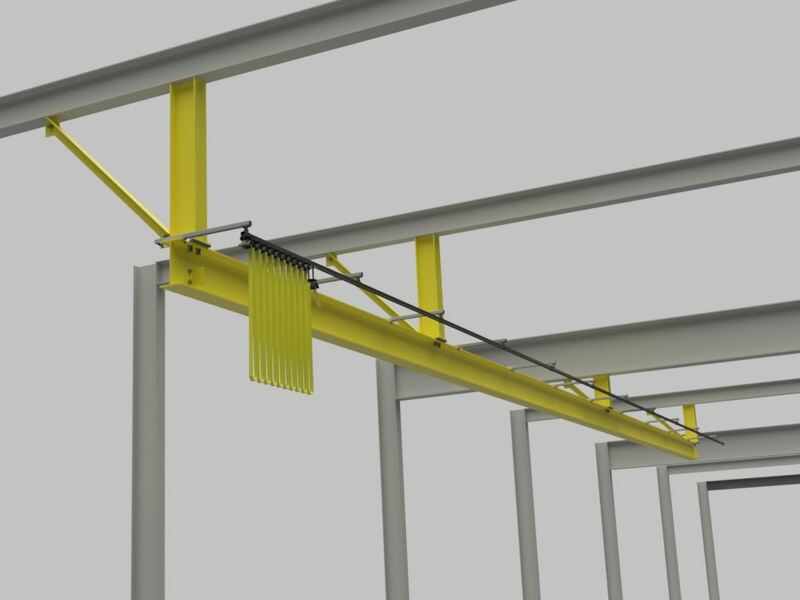 Staging areas and/or latching bridge cranes can also be added to the monorail system to create more floor space and speed up assembly tact times. 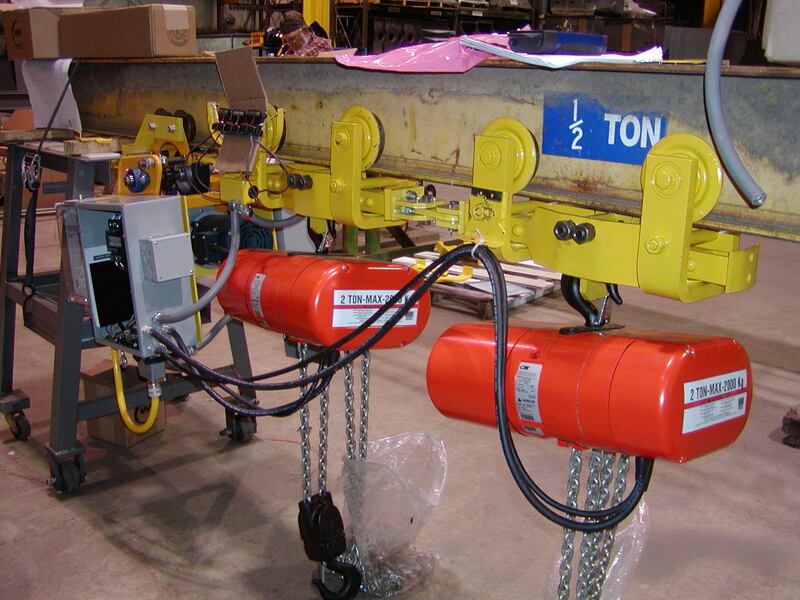 Motorized carriers are custom designed for user’s specification to ensure efficient operation. 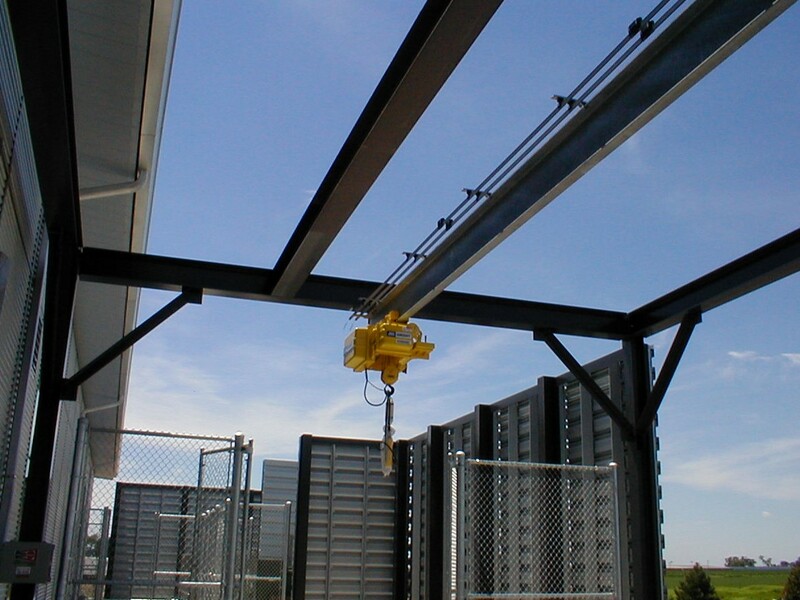 Tractor drives are monorail devices that pull carriers along the monorail track. 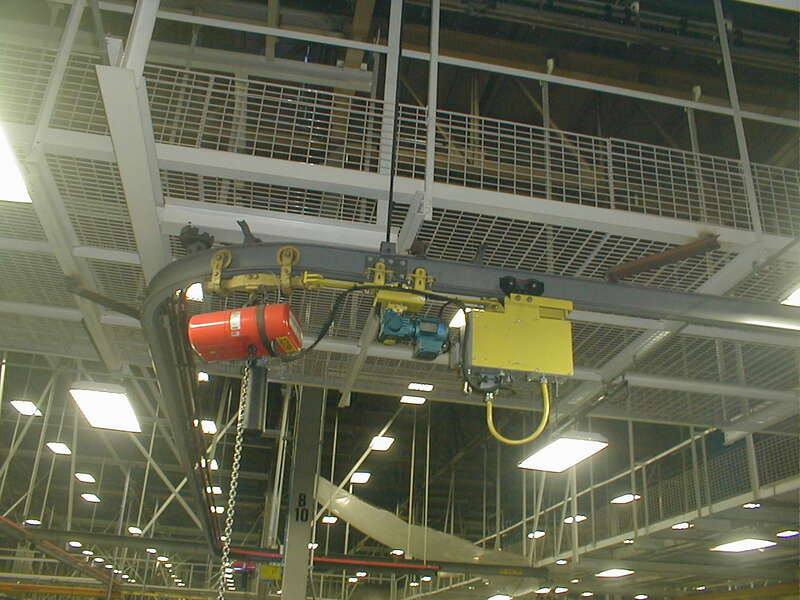 They can be retrofitted to an existing hand push trolley to add trolley motion. 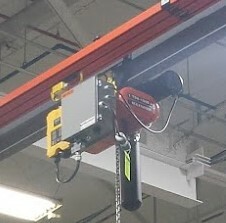 Typically, carriers and tractor drives are powered with electricity but on small monorail systems, compress air may also be used. 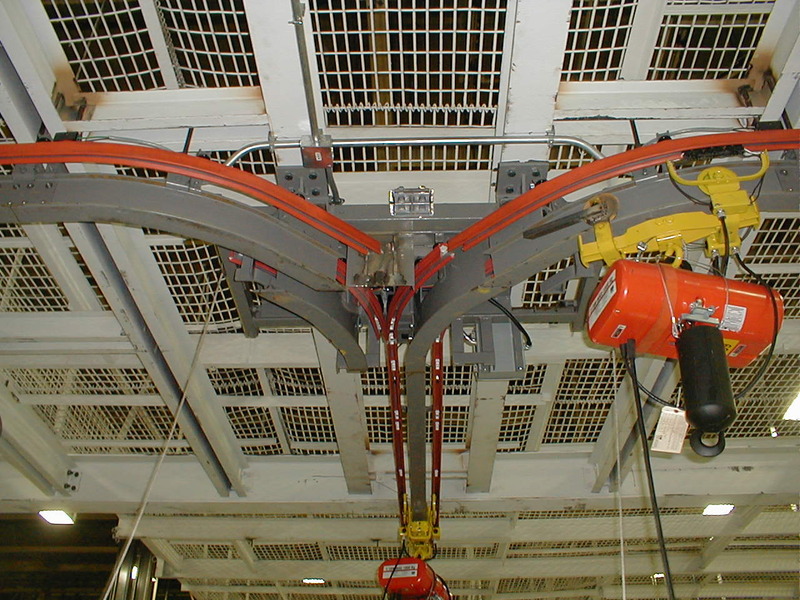 Hand push trolleys are often used to queue material on an overhead monorail system. 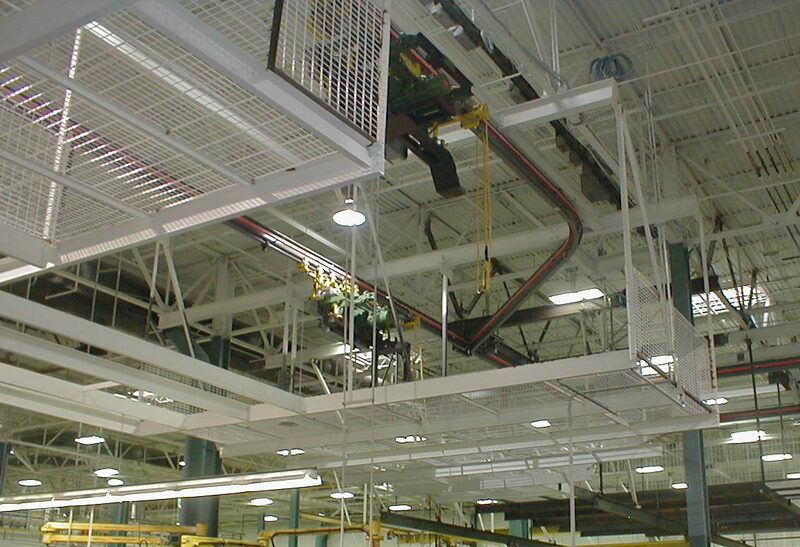 Push trolleys are typically less than 2 tons and are used in low headroom applications. 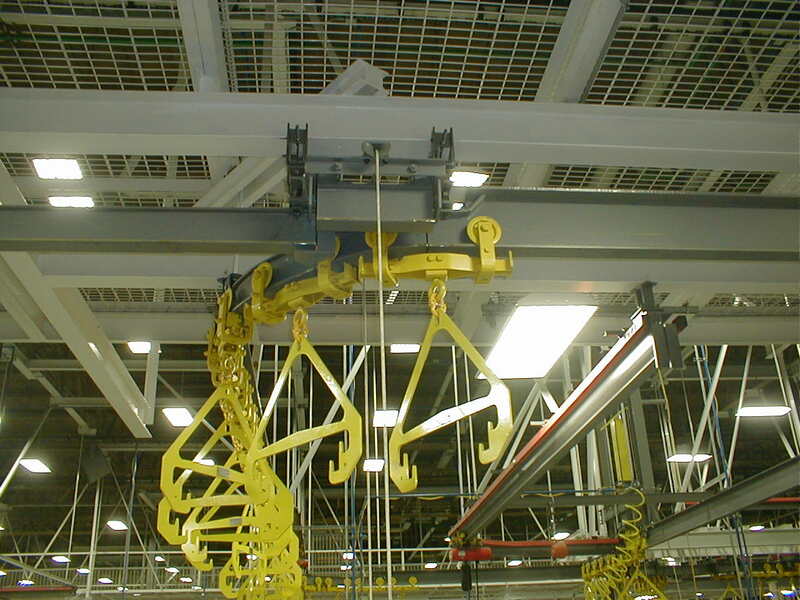 These trolleys can utilize a powered or hand hoist or a specially designed part hanger. 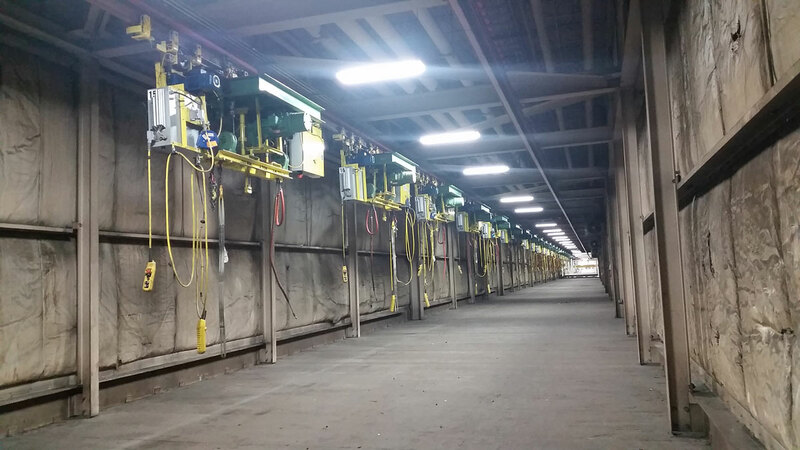 Typical uses hand push trolleys are used in small parts staging, blasting lines, paint booths, and many maintenance applications. 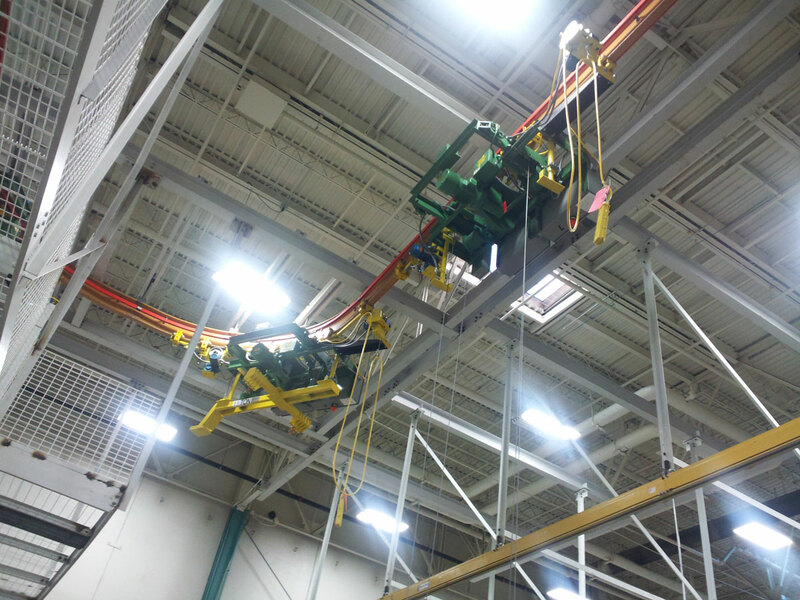 Click to submit an inquiry, or call us at (800) 728-0818.